There are some people who grab our attention; pull us into their presence with their laugh, wit, peace, pain, or circumstance. As I perused through my Facebook timeline—catching up on dog videos, inspirational quotes, and updates from friends—the photo of a boy with striking blue eyes grabbed my attention. His face, his innocence, the softness of expression pulled me into his presence. And then I read the accompanying post: Hayden Jilka, age 7, undergoing cancer treatment. My heart plummeted to my toes, as though I’d nearly collided with another car on the road. It’s been a strange several months for my family and me. We’ve seen a lot of illness, diagnosis, and death. We’ve delivered meals, prayed, grieved, felt a malaise hovering over an all-too-sunny winter. But this face, this boy—Hayden—I can’t explain it…I was so moved. Through my friend Neal Pearlberg, who hosts KSCO’s Off The Lip Radio Show in Santa Cruz, California, I was able to contact the Hayden’s family. After a few emails and texts, we made a plan to meet. Over soup, salad, pizza fries, and a grilled cheese for Hayden’s little brother, Garrett, Samantha recounted Hayden’s journey. 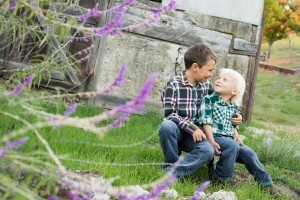 “Hayden was diagnosed in October of 2014 when he was seven. He’d been experiencing pain in his cheek. We thought he had an infected salivary gland, and a growth inside of Hayden’s mouth was removed and biopsied,” Samantha says. She and her husband, Nate, got the call that changed their lives: Hayden had cancer, rhabdomyosarcoma, a cancer of the soft tissue. The good news is that the success rate is 90% with treatment. The bad news: radiation therapy and chemotherapy are the treatments. As I listened to Samantha relay this information, I tried to imagine my child with this diagnosis; the worry, the anxiety, the pain of watching my child go through treatments that cause pain, nausea; how he would potentially miss out on “normal” kid stuff due to his treatment—school, parties, sports. Most of us will not experience first-hand what life is like with a child battling cancer. With that in mind, I asked questions that helped me gain a better understanding of daily life. The family sought out non-traditional medication, and Hayden has found tremendous relief from CBD, Cannabidiol, which is a cannabis compound that does not make people feel “stoned”, yet, according to Samantha, provides pain relief without sedation. I was curious about the impact that cancer has on a school-aged child; how his peers were responding to Hayden’s diagnosis. Back in the 1970s, I had a classmate who had cancer, and none of this was discussed, which fueled a lot of anxiety, questions, and fear in a number of us. Samantha shares, “The school did a great job. The teacher sat down with his class and explained that Hayden had cancer; that he may miss some days because of treatment; how he may lose his hair.” Samantha adds that Hayden’s friends have surrounded him, some shaving their heads to match the hair loss that Hayden has experienced from chemo. This was not the first time that I’d heard of the generosity of Jacob’s Heart, a child’s cancer support service in Santa Cruz County. 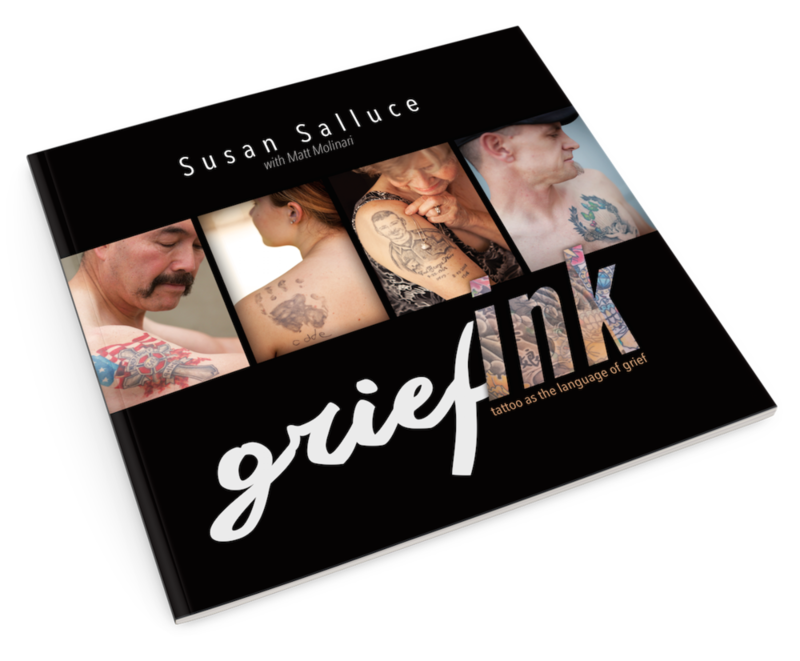 While writing GriefINK, a non-fiction book about memorial tattoos as a language of grief, one of the participants I interviewed stressed how critical Jacob’s Heart was in offering assistance to her family. For the Jilkas, the added cost of driving to and from Lucille Packard at Stanford and overnight stays were eased by the assistance from Jacob’s Heart. Teddy Bear sales and baked goods at Pleasure Point, Neil Pearlberg’s Off The Lip Radio Show, Terry Campion and the Santa Cruz Boardroom, Ribsys Nickel Holiday Party at Bocci’s Cellar, Danny Keith and the Santa Cruz Warriors, Bud Freitas and Surf School Santa Cruz, Nikki Brooks & Shawn Dollar, Titans of Mavericks, Star Bene, Steve Periera “The Beach Guy”, Santa Cruz Mountain Brewery, Freeline Surf Shop, local authors, friends, neighbors, and classmates. As Hayden’s treatment continues, new conditions arise. When I met with Samantha and Garrett two weeks ago, Hayden was supposed to join us. Unfortunately, he had become neutorpenic as a result of the chemotherapy, resulting in a reduction of a type of white blood cells, which increase his inability to fight off infections or bacteria. It’s not a permanent condition, but when this arises, he must remain at home, and avoid unnecessary contact with others. During our lunch together, I got a real sense that ordinary life does not stand still for families who have a child with cancer. The siblings need attention; food must be bought and prepared; holidays come and go; bills continue; parents have to work. Garrett and I played “pass” with a piece of paper folded into the shape of a triangle. We laughed. We chatted. I wondered what was going on his young mind. And as we ended our lunch together, he slipped off a rubber bracelet that says Hope for Hayden. “This is for you!” he beamed. As much as this family feels blessed by the support of others, I was the one who walked away feeling blessed. I was let in to a very private, sacred space: a mother revealing her innermost fears, hopes, worries, sources of strength, and prayers. I count it a privilege to hold the Jilka family in my prayers, to reach out to others on their behalf, and to observe the presence of hope and grace amidst illness. Thank you, Hayden, for touching my life and the life of others. If you would like to help, here are the links to Hayden’s recovery, as well as links to Jacob’s Heart, and Teen Kitchen, which provide meals to families in crisis.